Daniel J. Levitin’s This Is Your Brain On Music: The Science of a Human Obsession is a fascinating study about what happens in the brain when we listen to music. Levitin, a neuroscientist and former session musician and producer, has crafted an excellent study that both scientists and lay readers whose grasp of science is somewhat limited will find informative. Perhaps best of all, Levitin’s book doesn’t ruin the enjoyment of listening to music. Levitin primarily takes a thematic approach in examining how the brain functions when listening to music. Although the first chapter, which explains the basics of music like pitch, timbre, meter, may be sow-going for the musically-challenged, the remaining chapters are enlightening. With topics including how the brain remembers and recalls music, why music can impact our moods, and why musical preferences can vary from person to person, Levitin explains the processes occurring in the brain without overwhelming the reader with overly-technical and academically-dry details. Perhaps the most interesting chapter is the final one, which makes a case for the evolutionary origins of music, arguing against scientists who believe music was a happy accident or an unplanned byproduct of language development. Levitin shows how music may have played a role in human survival and evolution, including aiding in cognitive development, serving as a key factor in promoting early human interactions, and giving musical males an extra advantage in the grand reproductive race. Written for non-experts who might not know the difference between a hippocampus and a hippopotamus, This Is Your Brain On Music successfully manages to explain how we listen to music without reducing music to a series of neurons and brain waves. Levitin writes in an intelligent but not overbearing or condescending tone; his passion for music is apparent throughout the book. An excellent integration of science and music, Levitin’s book examines the brain’s role in listening to and processing music without downplaying any of the emotions we experience when listening to music. 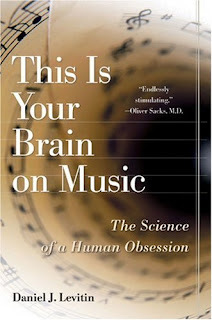 I enjoyed the book, particularly the science of the brain and its relation to music. This is Your Brain on Music: The Science of an Human Obsession by Daniel Levitin. Dutton, New York. 2005. "My mother had dreams of being a writer and I used to see her type in the front room. The front room is also where I would go when I was sick so I would sit there and watch her." 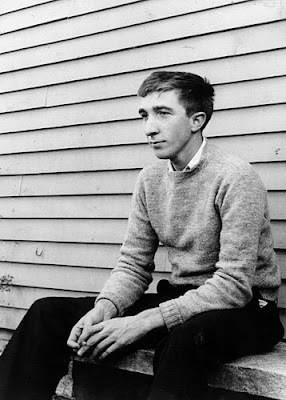 Novelist, short story writer and poet, John Updike was one of America's premier men of letters. As a boy growing up on a farm in Pennsylvania, he suffered from psoriasis and a stammer, ailments that set him apart from his peers. He found solace in writing, and won a scholarship to Harvard, where he edited the Lampoon humor magazine. He sold his first poem and short story to The New Yorker shortly after graduation. He won early fame with his short stories and his novel The Centaur. With his novel Rabbit, Run (1960) came further acclaim, and Pulitzer Prizes for two of its sequels, Rabbit is Rich (1981) and Rabbit at Rest (1990), chronicling the life of a middle class American through the social upheavals of the 1960s and beyond. Rabbit, Run and Couples (1968) both stirred controversy with their forthright depiction of America's changing sexual mores, and established his reputation as a peerless observer of the human complexity behind the facade of ostensibly conventional lives. His fiction, poetry and essays also show a persistent interest in moral and philosophical questions, informed by his lifelong interest in Christian theology. Over the course of his career, he published over 60 books, including novels, collections of short stories, poetry, drama, essays, memoirs and literary criticism. The Early Stories, 1953-1975, published in 2004, collected the short fiction from the first two decades of his career. As large a volume as it is, it represents only a small part of his vast contribution to American literature. John Updike was one of very few Americans to be honored with both the National Medal of Arts and the National Medal for the Humanities. I cannot say that Updike is one of my favorite authors, but I have enjoyed some of his short stories (most of the Pigeon Feathers and Music School collections which are included in The Early Stories 1953-1975) and the novels gathered in the Rabbit tetralogy. His memoirs, Self-Consciousness, and his art criticism were excellent as well. I would recommend him to anyone interested in reading about American suburban life in the second half of the twentieth century. Rabbit Tetralogy by John Updike. Alfred A. Knopf, New York. 1990. Self-Consciousness: memoirs by John Updike. Alfred A. Knopf, New York. 1989. The Early Stories: 1953-1975 by John Updike. Alfred A. Knopf, New York. 2003. The first movement is written in a kind of truncated sonata form. A melody that Hector Berlioz called a "lamentation" is played (mostly by the right hand) against an accompanying ostinato triplet rhythm (simultaneously played by the right hand). The movement is also played pianissimo or "very quietly", and the loudest it gets is mezzo-forte or "moderately loud". The movement has made a powerful impression on many listeners; for instance, Berlioz wrote that it "is one of those poems that human language does not know how to qualify." The work was very popular in Beethoven's day, to the point of exasperating the composer, who remarked to his student Carl Czerny, "Surely I've written better things." The second movement, a relatively conventional minuet and trio, provides a needed relief and contrast between the opening romanticism and the finale's storm. It is a moment of relative calm written in D-flat major. This key signature is harmonically equivalent to C-sharp major, that is, the tonic major for the work as a whole. The slightly odd sound of the first eight bars seems to be the result of the minuet starting in the "wrong" key; i.e. the dominant key of A-flat major. The music settles into D-flat only in the second phrase, bars 5-10. Of the second movement, Franz Liszt described it as "a flower between two chasms." The stormy final movement (C-sharp minor), in sonata form, is the weightiest of the three, reflecting an experiment of Beethoven's (also carried out in the companion sonata, Opus 27 no. 1 and later on in Opus 101) placement of the most important movement of the sonata last. The writing has many fast arpeggios and strongly accented notes, and an effective performance demands flamboyant and skillful playing. Of the final movement, Charles Rosen has written "it is the most unbridled in its representation of emotion. Even today, two hundred years later, its ferocity is astonishing." The musical dynamic that predominates in the third movement is in fact piano. It seems that Beethoven's heavy use of sforzando notes, together with just a few strategically located fortissimo passages, creates the sense of a very powerful sound in spite of the overall dynamic. Penelope Lively's novel, Consequences, begins in 1935, with an unhappy rich girl sitting weeping on a bench in St James's Park. Nearby, a young man sketches the ducks. Their accidental meeting will later be described as the opening of a game of consequences, from which flows a long, sometimes rich narrative. Lively uses the chronicling of the experience of love in the lives of three generations of women, beginning in the 1930s with Lorna, then focusing on Molly in the post-war years and finally rounding off the tale with up-to-date Ruth. But this is no 'family saga' novel. The book is about the way time changes perceptions, and about memory and loss. This is not a long novel but it has a certain richness and covers such a swathe of time that it feels as if you have absorbed a great deal. The prose is elegant, the plotting meticulous but it seems sporadic as it jumps from decade to decade. Lively paints with quick, broad brushstrokes, then suddenly paints in a detail that brings her characters and their emotions to life on the page. The history of seventy years is sketched out in less than 300 pages, and yet you feel you know the principal characters intimately. Lively is a master at telling the reader more by writing less. However, I feel Consequences is a multi generational book that was poorly executed, for while Lively includes the portions of the characters lives that highlight the main women, both the men and the background events fade away, much like old wallpaper that has lost its patina. Some of the male characters are sketchy but the three women - in many ways, one woman seen at different times - are sensitively portrayed. As a whole, the characters were very one-dimensional and I couldn't help but wish that Lively would have dropped the whole idea of a multi generational book and instead concentrated solely on Lorna and Matt. A very modern book, Consequences is in some respects deeply traditional. True love is the ultimate fulfillment for all these women. It was not sufficient for this reader. Consequences by Penelope Lively. Viking Press, New York. 2007. The Screwtape Letters is a work of Christian satire by C. S. Lewis first published in book form in 1942 in the form of a series of letters from a senior demon, Screwtape, to his nephew, a junior tempter named Wormwood, so as to advise him on methods of securing the damnation of an earthly man, known only as "the Patient." Screwtape (along with his trusted scribe Toadpipe) holds an administrative post in the bureaucracy ("Lowerarchy") of Hell, and acts more as a mentor than a supervisor to Wormwood, the inexperienced tempter; almost every letter ends with the signature, "Your affectionate uncle, Screwtape." In the body of the thirty-one letters which make up the book, Screwtape gives Wormwood detailed advice on various methods of undermining faith and promoting sin in his Patient, interspersed with observations on human nature and Christian doctrine. In The Screwtape Letters, C.S. Lewis provides a series of lessons in the importance of taking a deliberate role in living out Christian faith by portraying a typical human life, with all its temptations and failings, as seen from the demon/devil's viewpoint. Wormwood and Screwtape live in a peculiarly morally reversed world, where individual benefit and greed are seen as the greatest good, and neither demon is capable of comprehending or acknowledging true human virtue when he sees it. A preface included in some older editions of the book included a short dialog on the subject of whether Lewis believed demons to be fact or fiction, exemplifying Lewis's belief that despite the fictional storyline of the book, he believed Satan and demons are not fictional; further, that he held a view that they exist for a decidedly evil purpose which must not be portrayed innocuously in art and culture at the risk of obfuscating their true nature. When first published, The Screwtape Letters brought immediate fame to a little known Oxford don whose field of study was medieval English literature. Over the past sixty years its wit and wisdom have made it one of C. S. Lewis’ most widely read and influential works. While it is one of Lewis' most popular works, Lewis claimed that the book was "not fun" to write, and he "resolved never to write another 'Letter'." However, in 1959 he wrote an addendum, Screwtape Proposes a Toast, which takes the form not of a letter but rather an after-dinner speech given by Screwtape at the Tempters' Training College for young demons. 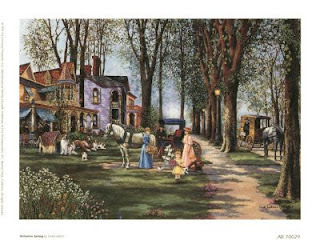 It first appeared as an article in the Saturday Evening Post. 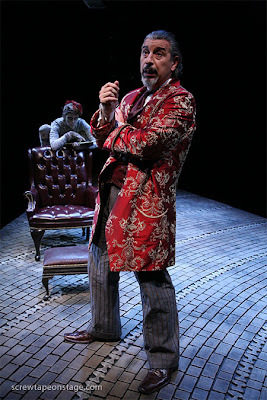 Fortunately for the theater-going public Jeffrey Fiske and Max McLean have adapted The Screwtape Letters for the stage. I attended a performance last night at The Mercury Theatre where the adaptation was presented by the Fellowship for the Performing Arts. Directed by Jeffrey Fiske and starring Max Mclean as Screwtape it was an impressive evening of theater. Complemented by Yvonne Gougelet as Toadpipe, his amanuensis, McLean gave a tour-de-force performance in this (almost) one-man show. The language of Lewis was marvelous and the addition of effective lighting and sound effects made the evening one of supreme satire. McLean's performance explained why sell-out crowds have continued to fill the Mercury theatre to see a christian satire from a book written more than a half-century ago. It was great theater. "Literature is language charged with meaning. meaning to the utmost possible degree'"
what they call the ludic side of man, Homo Ludens." TWO girls and two very different personalities and temperaments, Amelia Sedley and Becky Sharp, form the center of this lengthy story "without a hero". By the end I was almost convinced that all is 'vanity' in this world, or at least in this novel. This reminded me somewhat of Balzac (e. g. Cousin Bette), but with more humor. The best thing in the book was the Authorial presence as Thackeray comments on the people and their actions at regular intervals. The two most memorable aspects of the book for me were the voice of the author and the character of Becky Sharp, certainly one of the most memorable in all of my reading. Unlike Dickens, the author does not deal with the ills of society at large (e. g. education or debtors' prison), but focuses on the characters of the individuals and the consequences of their character and actions on their lives. In comparison with most of the other characters you almost don't mind since they usually deserve the treatment they receive from her; however, her unmotherly actions toward her son betray a more vile nature than one would expect, from anyone that is other than Becky. This is a novel that explores the dichotomy between love and money, those who depend on the largess of others are often disappointed and all the love in the world does not pay the bills. Thackeray manages to keep the story interesting primarily because, in spite of her character flaws, Becky is both smart and charming. He explores her nature in a way that is both profound and detailed and ultimately, with a large supporting cast, creates a world in Vanity Fair that seems not too unlike our own. The grey warm evening of August had descended upon the city and a mild warm air, a memory of summer, circulated in the streets. The streets, shuttered for the repose of Sunday, swarmed with a gaily coloured crowd. Like illumined pearls the lamps shown from the summits of their tall poles upon the living texture below which, changing shape and hue unceasingly, sent up into the warm grey evening air an unchanging unceasing murmur. Even before we meet the two young men of the story we have been transported to Dublin through the opening paragraph. Tightly written like a gay picture postcard we are entranced by Joyce's vision. Why aren't all stories written this well? Books with an * are particular favorites. The piano sonatas of Ludwig van Beethoven are of immense diversity covering many moods, styles and structures within the Sonata form. 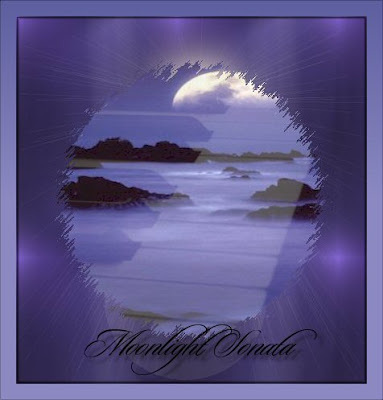 One of the most famous, "the Moonlight Sonata" - a favorite of mine, is both challenging and romantic in conception. 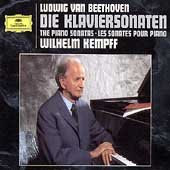 Here is a performance by the great German pianist, Wilhelm Kempff. And in our class today we will be listening to and discussing Beethoven's Opus 10 Sonatas. The first Sonata Op. 10, #1 is also one of my favorites: here is a performance of the opening movement. And April weeps -- but, O ye Hours! Even in the depth of the grayness of winter we cannot forget the future -- the flowers that may take some months to appear, but that follow that cruelest month as sure as the snow flies today. from The Poems of Percy Bysshe Shelley, ed. by Stephen Spender. Heritage Press, New York. 1974. A Barometric low hung over the Atlantic. It moved eastward toward a high-pressure area over Russia without as yet showing any inclination to bypass this high in a northerly direction. The isotherms and isotheres were functioning as they should. The air temperature was appropriate relative to the annual mean temperature and to the aperiodic monthly fluctuations of the temperature. The rising and setting of the sun, the moon, the phases of the moon, of Venus, of the rings of Saturn, and many other significant phenomena were all in accordance with the forecasts in the astronomical yearbooks. The water vapor in the air was at its maximal state of tension, while the humidity was minimal. Robert Musil, in The Man Without Qualities, captures the spirit of the summer day in Europe with scientific precision and at the same time creates a paragraph that is not about the weather. It is one of the most arresting and beautiful openings of any novel that I have read (p. 3 of MWQ). 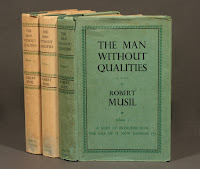 As I will soon begin yet again a traversal of this twentieth-century masterpiece I thought, on this winter day as we recover from two days of below zero 'weather', that I would display the opening of Musil's novel. As in Dicken's "best of times and worst of times" Musil captures the complexity inherent in the apparent simplicity of a precise moment. It is just as if our current world's complexity could be subsumed in the clarity of the sun as it shines down on pure white snow whose temperature is degrees below zero, Fahrenheit. I plan to reflect from time to time as I reread Musil's novel and revel in the many insights and comic moments that it contains. For those of us who have hope - the sun, even on the coldest days, seems to provide the source. In Tenebris I from The Complete Poems of Thomas Hardy. Collier Books, New York. 1982 (1976). 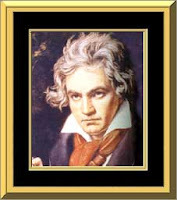 Today I started an eight week class that will survey the piano sonatas of Ludwig van Beethoven. The first session considered the first three sonatas, Op. 2, 1-3, that followed his Op. 1 Trios. Beethoven was bold from the start with a direct reference to the finale of Mozart's g minor Symphony (K. 550) in the first subject of the first of these sonatas. At the time he wrote these he was a pupil of Haydn (thus the Trios of Op. 1) to whom he dedicated the Op. 2 Sonatas. This sonata is in f minor, another indication of self-confidence in the young Beethoven, for minor keys were not that common (only five of Haydn's sixty-two sonatas) at that time. This would not be the last minor key sonata for Beethoven as he would use minor keys (particularly c minor) for several more sonatas. At the opening of the first movement there is further evidence of his unique approach with the rapid change in loudness from piano to forte in the first two lines. Already mature in his compositional style, with the first movement of Op. 2, #1 is we have both elegance and a demonstration of the creative genius that Beethoven would continue to display in his subsequent sonatas. The slow movements of these sonatas, in particular demonstrate a variety that continued to be evidenced throughout his other sonatas. Listening and studying these sonatas, even though they are early works of the master, provide continual suggestions of techniques and hints of what would reappear in his later works making his musical world unique. I am looking forward to studying the remaining sonatas as they display the breadth and depth of Beethoven's musical world. It is interesting to note that Pyrrho is noted for a philosophy of skepticism that claims the impossibility of knowledge. For him our own ignorance or doubt should induce us to withdraw into ourselves, avoiding the stress and emotion which belong to the contest of vain imaginings. This theory of the impossibility of knowledge suggests a sort of agnosticism and its ethical implications may be compared with the ideal tranquility of the Stoics and Epicureans (who were more popular among Romans). This certainly contrasts with the Christian spiritual view that emphasizes belief in the supernatural. It is a philosophy that, at least for Petronius, lets him face death unequivocally with a sort of stoicism that provides a potent example in opposition to the Christian view. It also is an example of the breadth of beliefs shown by Sienkiewicz in his portrayal of the culture and character of the Roman world. This contrast of philosophies underlies the novel and made it more interesting to me than the simple love story that it also presents. In Quo Vadis we are presented with an historical novel of depth that shows us the corruption and depravity of Nero's Rome while it presents the worlds of aesthetics and skepticism represented by Petronius and that of the young Christian sect whose believers include Peter and Paul, of biblical fame, and Ligia, the barbarian princess who becomes the focus of young Vicinius' amour. It is perhaps not a coincidence that the nineteenth century had several writers (Bulwer-Lytton, Kingsley, and Wallace) including Sienkiewicz who reacted to the prevalence of anti-christian views among the romantics (Shelley, et. al.). This is seen in the pronounced admiration for the poor Christians and the sensational nature of the culmination of the story involving the Neronic destruction of many of the Christians in terrifically brutal games. In spite of this Sienkiewicz through vivid detail creates a believable historical setting for his love story; and overcoming his biased portrayal of the Christians and the contrast with the irrationality and evil of Nero, he succeeds in telling a moving and thoughtful portrayal of Rome in the first century A.D. 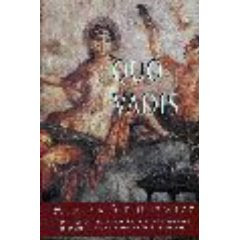 I read Quo Vadis in the recent (1993) translation by W.S. Kuniczak and I would recommend this as the best translation available due to its readable style. The buzzard had nothing to fault himself with. Scruples are alien to the black panther. Piranhas do not doubt the rightness of their actions. The self-critical jackal does not exist. live as they live and are glad of it. but in other respects it is light. on the third planet of the Sun. The film Doubt directed by John Patrick Shanley who adapted his original play for the screen is a powerful drama whose story line reminded me of one thing that makes humans different from the animals in the above poem - our ability to doubt. Shanley succeeds in creating questions, and yes - doubt, in the mind of the viewer. In spite of a slight feeling of being manipulated, he impressed me with his message. The story, set in 1964, centers on a parish and school - St. Nicholas in the Bronx. 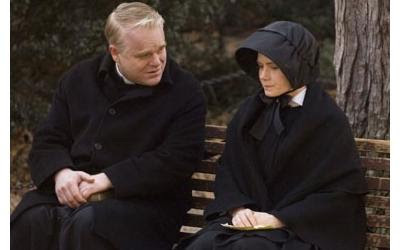 A priest, Father Flynn, played by Philip Seymour Hoffman (Capote), is trying to upend the schools' strict customs, which have long been fiercely guarded by Sister Aloysius Beauvier, played with her usual supreme acting ability by Meryl Streep, a Principal who believes in the power of fear and discipline. Political and cultural change is changing the community, and the school has just accepted its first black student, Donald Miller. The story hangs on the actions of Sister James, who I found to be the most interesting character of all, played by Amy Adams. She appears as an innocent who is buffeted by the strong wills of the Priest and the Principal, and shares with Sister Aloysius her guilt-inducing suspicion that Father Flynn is paying too much personal attention to Donald. With this bit of information Sister Aloysius sets off on a personal crusade to unearth the truth and to chase Flynn from the school. She pursues her goal without no evidence besides her moral certainty. The ensuing battle of wills between Priest and Principal results in changes in lives and the community and ultimately raise doubts for the participants and audience alike. I found the film to be a thoughtful exploration of the nature of truth, certainty and doubt - one which like all good films left me with questions to ponder in my own mind. Sounds, Feeling, Thoughts: Seventy Poems by Wislawa Szymborska, trans. by Magnus Krynski and Robert Maguire. Princeton University Press, 1981. Having been a student of the "Great Books" for more than twenty years I came to this book with a certain bias in favor of them. I found that, in A Great Idea at the Time, Alex Beam has written an interesting exploration of some aspects of the Great Books phenomenon in American culture. I say some aspects because, while I do not disagree with many of his observations, I do find his perspective flawed and came away from the book with the conclusion that he never developed a fundamental understanding of the importance of the Great Books. Whether the canon should be limited or not is not the most important question, rather the question is what value there is in recognizing, reading and developing an understanding, however limited, of the works of the greatest minds of the world. Reading and studying and discussing the Great Books and the ideas encompassed in them provides an education that cannot be obtained any other way. Most importantly it provides a base for continuing to grow and flourish as a human being. The author spends much of the book discussing attempts, some misguided and some not, to encourage and spread the reading of Great Books. Whether any of these attempts succeeded depended not so much on the value of the books themselves, which I believe cannot be doubted, but on the methods used by the purveyors of the Great Book experience. Certainly I would expect the author to be fair and comprehensive in his discussion of the Great Books movement, but instead there are serious gaps in his story including some of the good work being done by the Great Books Foundation in schools across the country as reported in Julia Keller's Lit Life column in the Sunday Chicago Tribune. This is disappointing to say the least; but I can only look back on and continue my own experience which I have found invaluable in my own life. The Great Books are very much alive for me and many others. While the author discusses finding himself "occasionally succumbing to creeping great-bookism", I would suggest that thoughtful human beings would be both better critical thinkers and good citizens by incorporating the lessons of the Great Books into to their lives. A Great Idea at the Time: The Rise, Fall, and Curious Afterlife of the Great Books by Alex Beam. Public Affairs, New York. 2008. I was moved by the following excerpt from Carl Sandburg's Bronzes as I am frequently walking (or running) through Lincoln Park. The statues are with us still as reminders of heroes from the past. We also have Sandburg's poetry as a memorial remembering these men and their deeds. of the city at his bronze feet. I acquired this book through a recommendation that I have subsequently forgotten, but for which I am thankful nonetheless. John Carey, whose fine book The Intellectuals and the Masses (St. Martin's 1993) I read some years ago, has prepared a guide to the "most enjoyable books" of the twentieth century. While tastes may differ I find I have already read almost half of the fifty books he lists and of those there is only one that I remember not enjoying. Based on that evidence and the books I have enjoyed by writers for whom he includes different titles than those I have read, I must conclude that he truly has included at least some of the most enjoyable books of the century just past. He notes with apologies his methodology precluded more than one title per author in order to avoid a few authors taking up the whole list. He also consciously avoided "masterpieces" for less well-known works. The advantage for the reader being the inclusion of Mann's great picaresque novel Confessions of Felix Krull Confidence Man instead of The Magic Mountain or Buddenbrooks, or the listing of Decline and Fall, Waugh's great comic first novel instead of Brideshead Revisited. 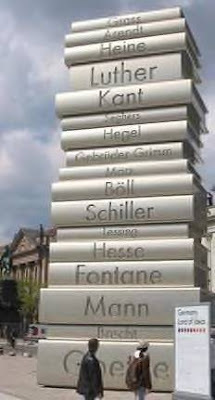 He thoughtfully includes both poetry and works in translation on this list to ensure the enjoyment of readers is not limited to novels written in English. This guide will provide me one more reason to never be without a good, and enjoyable, book. Pure Pleasure: A Guide to the 20th Century's Most Enjoyable Books by John Carey. Faber and Faber, London. 2000. The two most recent books I have read for my Sunday afternoon reading group have been "genre" fiction; specifically a science fiction novel and 'noir' crime mystery, respectively. For all their inclusion in the category of genre fiction they are not necessarily lightweight reads, although they may be considered "entertainments" when placed beside weightier tomes. Childhood's End by Arthur C. Clarke is a classic in the true sense of the world. Published fifty-five years ago, it is generally considered a great book. Arthur C. Clarke's novel exhibits several characteristics of a truly 'great' book. It is a lucid account of the meeting of "aliens" from outer space with the residents of earth. In describing this encounter and the aftermath, Clarke created a scene, the image of huge spaceships hovering over major cities of Earth, that not only impresses the reader but that had remained as an image for subsequent science fiction. But this book should be considered great as a work of literature, from the structure to style to characterization there is a economy that allows for a tale spanning decades to be told in a couple hundred pages. Clarke focuses on the essentials of the story and lets the reader imagine the inessential details. He also provides contrasts in character and ideas while providing just the right amount of suspense to keep the reader turning the page. His incorporation of science into his fiction is seamless and believable as his story moves inevitably towards an unexpectedly spectacular end for humankind. With his brilliant imagination Clarke has written a fundamental "novel of ideas". This reader took away from the book the wonder of both nature and the universe, and the potential for man when encountering other worlds. The Deadly Percheron by John Franklin Bardin is less well known than Clarke's classic, but it is a unique example of 'noir' fiction from the mid-forties. It is a somewhat fantastic and whimsical story with nightmarish aspects. The author kept the action going and there were enough twist and turns to keep me reading, if only to mollify my confusion. The main character, a psychiatrist named George Mathews, is led into a series of adventures that almost cost him his life, yet I was never worried that he would not succeed in figuring his way out of the confusion into which he had entered. A satisfying 'entertainment' (as Graham Greene would say). While I am in the midst of reading at the beginning of the new year I also take time to view some of the spate of fine movies released in time to qualify for annual film awards. 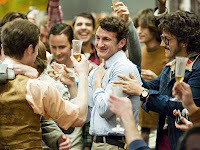 One of these is Milk, Gus Van Sant's biopic tribute to the gay San Francisco politician and activist, Harvey Milk. Sean Penn gives another of his fine acting performances (see Mystic River, Dead Man Walking et. al.). The film effectively captures the time and place of San Francisco and gay activism in the seventies. Great supporting performances included those by Denis O'Hare, James Franco, Joseph Cross and Lucas Grabeel (escaping from Disney). It is a tribute to Van Sant that he was able to make this uplifting and moving tribute to a man and a movement. A rare number of "feel-good" movies are truly great films. Slumdog Millionaire is one of those films. With a screenplay written by Simon Beaufoy (from the novel by Vikas Swarup) and directed by Danny Boyle (and Loveleen Tandan in India) it is a cinematic rags to riches story of a boy, Jamal Malik (effectively played by Dev Patel) who wins the Indian television version of "Who Wants to Be a Millionaire?". When arrested after correctly answering all but the last question and detained overnight, he narrates a tale of life and love, telling how he came to this point in his young life. His story, shown in flashbacks, provides a panorama of Indian life at the turn of the century and shows his rise from the slums to a job in a modern high-tech call center and his love of the beautiful Latika (Freida Pinto) that his the central passion. I was impressed with the acting of Irrfan Khan as the Police Inspector (as an actor he has been exceptionally busy with more than twenty films in the last two years, but I remember his performance as the father of Gogol Ganguli in The Namesake from 2006). There are many aspects of Slumdog which deserve praise; just a few of which include the effective pacing with contrasting scenes of the young boy's rough early life with the near celebrity of his TV appearance, the death of his mother at the hands of a mob, the conflict between Jamal and his brother Salim, timely humorous scenes that relieve some of the tension that accumulates as the story progresses, and the overriding passion of Malik's love for Latika to which she only slowly responds. The combined effect of the story, the scenes of India, and the reverberating beat of Indian music are dazzling. This is a film to sit back and enjoy both in the theater and afterward as memories of exciting emotional moments continue in your mind.